Rationalism, Pluralism, and Freedom is available from Oxford University Press. For a 30% discount, order directly from the Press with discount code ASFLYQ6. “Free Thoughts” interview with Aaron Ross Powell and Trevor Burrell. Panel on Rationalism, Pluralism, and Freedom at George Mason University. “Must Associations Become Interest Groups?” Georgetown Journal of Law and Public Policy, summer 2014. “From Liberal Constitutionalism to Pluralism,” in Mark Bevir, ed., Modern Pluralism: Anglo-American Debates Since 1880, Cambridge University Press, 2012. “Federalism, Liberalism, and the Separation of Loyalties,” 101(3) American Political Science Review 459-77, 2007. Reprinted in John Kincaid, ed., Federalism, Sage, 2010. The Multiculturalism of Fear, available from Oxford University Press. “Three Perversities of Indian Law,” 12(2) Texas Review of Law and Politics 329-68, 2008. Abridged reprint in Lisa Ford, Tim Rowse, and Anna Yeatman, eds., Between Settler and Indigenous Governance, Routledge, 2012. 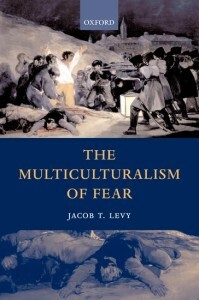 “Multicultural Manners,” in Michel Seymour, ed., The Plural States of Recognition, Palgrave MacMillan 2010. “National Minorities Without Nationalism,” in Alain Dieckhoff, ed., The Politics of Belonging: Nationalism, Liberalism, and Pluralism, Rowman & Littlefield, 2004. In French as “Des Minorités Nationales Sans Nationalisme,” in Alain Dieckhoff, ed., La Constellation des appartenances: Nationalisme. Libéralisme, et Pluralisme, Presses de Sciences Po, 2004. 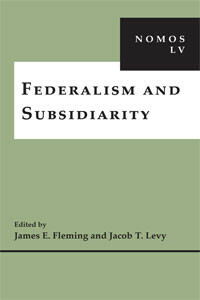 Nomos LV: Federalism and Subsidiarity, available from NYU Press. “The Constitutional Entrenchment of Federalism.” In James Fleming and Jacob T. Levy, eds., Nomos LV: Federalism and Subsidiarity, New York University Press, 2014. “States of the Same Nature’: Bounded Variation in Subfederal Constitutionalism,” in James A. Gardner and Jim Rossi, eds., Dual Enforcement of Constitutional Norms: New Frontiers of State Constitutional Law, Oxford University Press, 2010. “National and statist responsibility,” 11(4) Critical Review of International Social and Political Philosophy 485-99, 2008. Reprinted in Helder de Schutter and Ronald Tinnevelt, eds., Nationalism and Global Justice. David Miller and His Critics, Routledge, 2010. 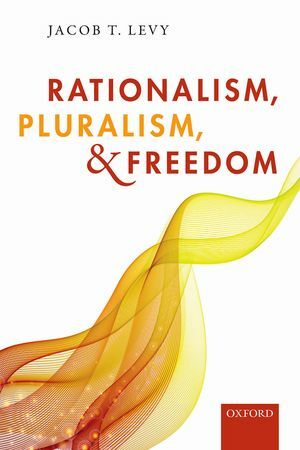 “What It Means To Be A Pluralist,” in Yitzakh Benjabi and Naomi Sussman, eds., Reading Walzer, Routledge, 2013. “Taking Politics Less Seriously,” Institute for Liberal Studies, Montreal. Jacob T. Levy with Iris Marion Young, eds., Colonialism and Its Legacies. Rowman and Littlefield/ Lexington Press, 2011. 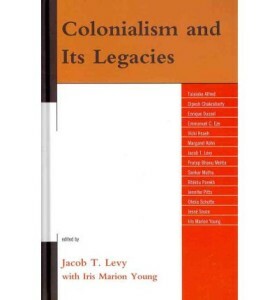 Jacob T. Levy, ed., The Oxford Handbook of Classics in Contemporary Political Theory. Chapters appearing at this site online first; volume expected late 2016.